This book is the best and most fun way to educate children about the varied facets of our amazing capital. 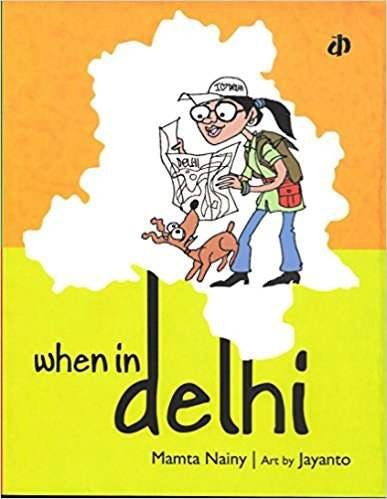 Told in the form of a city tour, the book includes interesting facts and trivia about Delhi’s monuments, history, public transport system, street food, etc. - some of which are an eye-opener not just for kids, but for adults too. 🙂 Join Fifee (or Fidgety Feet) as she jumps onto a Hoho bus on a spree to explore the best of Delhi - the Lotus Temple, Qutub Minar, India Gate, Jantar Mantar, Dilli Haat, National Rail Museum, Birla Mandir, Connaught Place, Bangla Sahib, Delhi Metro, Chandni Chowk, Paranthe Wali Gali, Jama Masjid, Akshardham Temple, and others. It's the best guide to explore the capital city, with fabulous illustrations by cartoonist Jayanto, the book brings alive the many sights, sounds, colours, tastes, and smells of this fascinating city. PS - Don't miss the quiz at the end of the book.